The female firefighters of the fire brigade in The Hague. SHOTS: - women put on their firefighter suits, helped by a fireman; - female firefighter salutes a commander (? 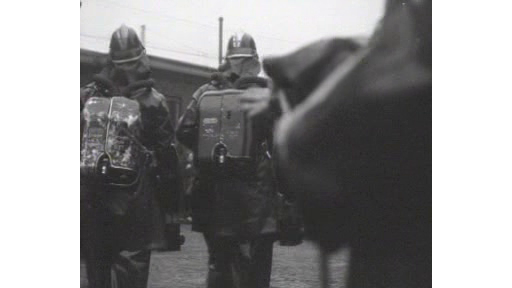 ); - women put on their gas masks; - fire extinguishing demonstration.